Here, curator Kate C. Lemay shares her five favourite pieces from this phenomenal show. "Dietrich was nominated for an Oscar for her performance in Morocco (1930), a feature Hollywood film whose leading role embraces both bisexuality and androgyny. This concept was nothing short of revolutionary for a conservative American audience with Puritan values. Yet in Morocco, with the help of costume designer Travis Banton, Dietrich created a palatable figure of lesbianism for American consumption. Her femaleness was dazzling and alluring to men, while simultaneously pleasing and inspiring for women. 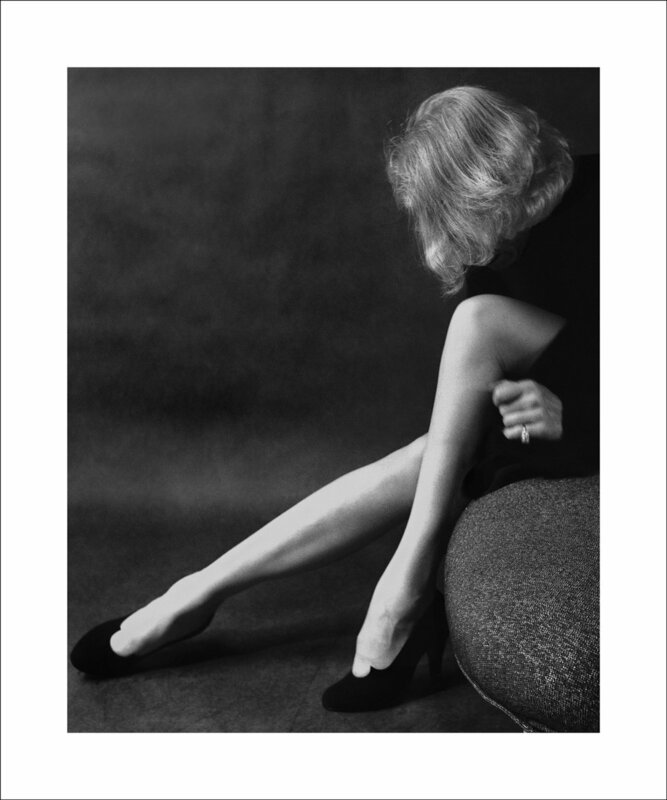 Dietrich’s frank sensuality and warm intelligence became her trademark, and her androgyny continues to this day in figures like Madonna, Beyoncé, Jane Lynch, and Janelle Monáe, as well as in fine art by Yasumasa Morimura. She autographed this photograph for Tami Matul, her husband’s mistress." "Before the war, Dietrich had never traveled across the Atlantic on an American ocean liner. She felt that American food was mediocre and preferred German or French ships. Her opinion changed when Adolf Hitler, whom she despised, came to power. The Europa was the pride of the German fleet, and it would become Hitler’s favorite ship. In 1933, however, it was merely a wonderful stage for Dietrich. 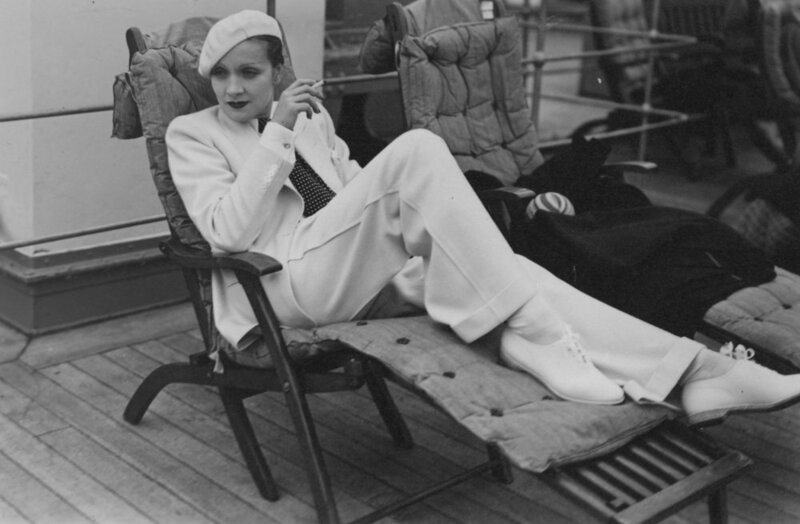 Strikingly clad in an all-white suit tailored to men’s styling, Dietrich created a stir when she enjoyed lounging on the open-air deck. According to French law, women were forbidden to wear trousers unless they had official permission from the local government. The head of the Paris police department warned that if Dietrich wore such attire in Paris, she would be arrested. She refused to oblige, and wore her most mannish tweed suit as she stepped of the train onto the Paris platform. Prussian discipline had formed Dietrich’s backbone, but Weimar culture had defined her sense of freedom." "In 1937 Joachim von Ribbentrop, Nazi Germany’s top diplomat, reportedly approached Dietrich to ask her to star in propaganda films supporting Hitler and his regime. Not only did Dietrich refuse, but she subsequently applied for American citizenship, which was granted in 1939. From 1943 to 1946, Dietrich gave more than 500 performances in the European theater of war, entertaining Allied troops with the USO. In spite of her status as an iconic beauty, Dietrich braved army life in North Africa, Italy, the Ardennes, and Germany. 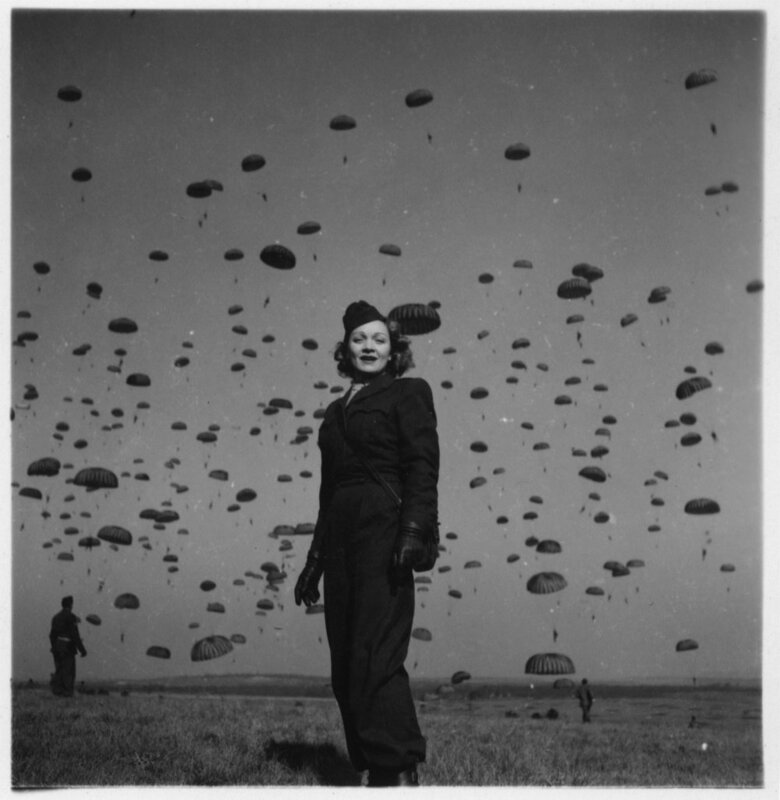 Dietrich had numerous love affairs during her USO tour, including one with James Gavin, third commanding general of the 82nd Airborne Division. In addition to her performances, Dietrich recorded music in German to demoralize Nazi soldiers for the American Office of Strategic Services (forerunner of today’s CIA), which were broadcast across German airwaves. The albums were a part of an effort by the OSS to create propaganda that effectively lowered the morale of German soldiers." "During World War II, Marlene Dietrich spent a total of eighteen months in Europe. Her frank memories of American soldiers—“They fought because they had been told to and had their eyes shot out and their brains, their bodies torn, their flesh burnt”—gave her a distinct gravity after the war that photographer Irving Penn captures here. For Dietrich’s service during the war, two American generals independently nominated her for the Medal of Honor, which was awarded to her in 1947. Dietrich also received the French equivalent, la Ordre national de la Légion d'honneur that year. She valued these recognitions above any acting citations. From those World War II veterans entertained by Dietrich during the war to their children, who heard stories of Dietrich; from Germans unwilling to bend to the Nazi regime to the generations who have since extolled Dietrich for her anti-Nazi stance, Dietrich is remembered as a woman with an impeccable moral core." "Even when her film career faded, Dietrich maintained a vibrant singing career that recalled her formative years in cabaret. Giving more than 200 concerts between 1954 and 1975, she performed all over the world. She also remained androgynous, wearing her iconic top hat and shirttails through the 1970s. What I like about this image is that it hints at how Dietrich controlled her image until age made it impossible to maintain such flawless, masculinized femininity any longer. Her hair sweeps forward over her face, hiding the signs of age—because let’s face it, her body is still rockin’ as ever at age 50. She’s dressed in Dior, her preferred designer, and she wears a ring by Cartier. She sits on an ottoman designed by Isamu Noguchi—a Japanese American artist—which brings up the question of race. Were she a Japanese-American, and not a blond European beauty, would she have been as successful in the postwar United States?"